Rick isn’t saving the world – he’s just getting it ready for Negan. A new season 9 preview for The Walking Dead recently surfaced exclusively from IGN, teasing a verbal confrontation between Alexandria leader Rick Grimes and the imprisoned Negan. The short clip, which features some new footage from the upcoming season, is overlaid with a voice-over from Negan, taunting his rival about what all the hard work he's pouring into the communities really means. "You're not saving the world. You're just getting it ready for me." Negan was often recognized by his iconic weapon, a baseball bat wrapped in barbed wire named Lucille, but this season, Rick is apparently sporting a trademark weapon from his own. A new teaser surfaced on the series' official Instagram account, showing off his brand-new mace, spikes and all. Check it out below. 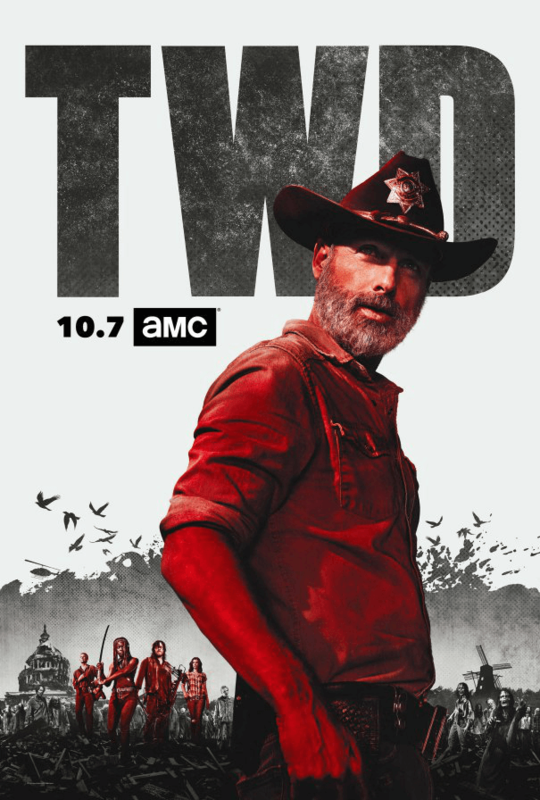 Andrew Lincoln's time on the show may be coming to an end, but AMC has no plans of burying The Walking Dead universe any time soon. As reported by Forbes, The network's CEO recently spoke at the Goldman Sachs Communacopia Conference and detailed just how much is being planned for the franchise that spawned from the mind of Robert Kirkman. Read his comments below. Season 9 of The Walking Dead will jump ahead roughly a year and a half following Negan’s imprisonment at the conclusion of the all-out war with the Saviors. You can check out the official synopsis and key art for the season below.